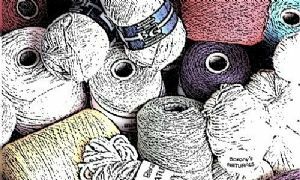 Yarns suitable for hand and machine knitting, crochet and weaving - by type category and by manufacturer. Tip: If you know the name or type of yarn you are looking for - use the search box above to quickly take you there. For example enter the word 'silk' to see our products that contain silk.